The Federal Circuit Court of Appeals decided a bid protest case where the issue was whether the agency properly referred the offeror’s technical responsibility decision to the Small Business Administration for a COC Certificate of Competency review. This has become a common dispute in bid protest appeal cases. As a government contractor, understanding the level of review imposed upon the US Court of Appeals for the Federal Circuit is very important when deciding to appeal a bid protest decision from the U.S. Court of Federal Claims (COFC). At the appellate level, the Federal Circuit Court of Appeals does not re-litigate the facts of the case. Instead, it reviews bid protest appeal case for clear error at the COFC level. A federal circuit bid protest appeal lawyer will review the agency record and the appellate briefs submitted to the Court of Federal Claims. Upon such review, a legal analysis of the COFC decision will then develop any legal error that may have been committed. Only then will a viable bid protest appeal to the federal circuit courts be warranted. Appeal Case Background: In the case at hand, the solicitation was designated as a small business set-aside contract. The government contract RFP required an instructor to provide classes at FPC Alderson with a regular work schedule from 8 a.m. to 2:30 p.m., five days a week. The solicitation indicated that pursuant to an affirmative determination of responsibility, the offers would be evaluated to determine which quotation was most advantageous to the government, “considering technical capability, past performance, and price. After a technical evaluation, the contracting officer evaluated the appellant’s offer on the basis of technical capability, past performance, and price. The contracting then determined that the quotation conformed to the solicitation; and that the offeror’s past performance history deserved a neutral rating. The government contracting agency also decided that the offeror had not performed contracts similar in nature, size, and scope to the horticulture instruction contract. The bidder’s pricing proposal showed to be the lowest cost quote of the three proposals received by the contracting agency. However, the contracting officer decided that the appellant’s technical proposal the technical “responsibility” requirement because it lacked the capacity to complete performance if offered the contract. These are all factual decisions that the Court of Appeals for the Federal Circuit will not disturb unless the protest appeals attorney can argue that there was an abuse of discretion or that the contracting officer’s decision failed to follow procurement laws and regulations. It is important to remember that in a federal circuit bid protest appeal, the appellant must also focus on why the Court of Federal Claims judge committed error, and not try to re-litigate the entire case. Finding mistakes in the COFC decision is essential to prevailing in the circuit court appeal. In the appeals case, the circuit found that as part of its Certificate of Competency investigation, the SBA contacted three contracting officers who had dealt with the appellant in the past. The SBA found out from third parties that the appellant had a history of refusing contracts after they were awarded. There were other negative feedbacks from the previous contracting officers. The agency contracting office, as a result, recommended that the SBA not issue a COC. After filing a bid protest at the Court of Federal Claims, the judge found that the contracting officer’s decision was neither arbitrary and capricious and that the contracting officer properly relied on available information about the appellant’s ability to perform the contract, including the prior performance record. The court also found that the SBA had acted rationally and had properly considered the available evidence when conducting its COC Certificate of Competency investigation. Bid Protest Appeal Standard of Review at the Federal Circuit Court of Appeals 5 USC 706. When appealing a COFC bid protest decision to the U.S. Court of Appeals for the Federal Circuit, the appellant / protestor must show that the contracting officer’s decision lacked a reasonable basis and that the contracting agency failed to provide “a coherent and reasonable explanation of its exercise of discretion.” Citing Banknote Corp. of Am. v. United States, 365 F.3d 1345, 1351 (Fed. Cir. 2004). “Because responsibility decisions are largely a matter of judgment, contracting officers are generally given wide discretion to make this decision.” John C. Grimberg Co. v. United States, 185 F.3d 1297, 1303 (Fed. Cir. (1999). We review the SBA’s denial of a COC by the same standard. 5 USC 706. Must overcome contracting officer’s discretion: On appeal to the Federal Circuit Court, unless you can overcome the contracting officer’s discretion, an appeal will more than likely fail. See Standard of Review when appealing a case to the Fed Circuit Court. COC regulations: When the contracting officer makes a responsibility determination under FAR 9.104, he or she makes a determination as to whether the contractor can “[b]e able to comply with the required or proposed delivery or performance schedule, taking into consideration all existing commercial and governmental business commitments.” 48 CFR 9.104-1(b). A responsibility determination must be documented in the record and the contracting officer must provide sufficient documentation to the SBA. The SBA has broad discretion to consider factors bearing on the contractor’s responsibility that was not cited by the contracting officer. 13 CFR 125.5(f). The regulations thus give the SBA substantial latitude in seeking information that could be relevant to a contractor’s reliability. Ms. Sims has made no showing that the agency exceeded its authority in this case. SBA can look outside of information provided by the CO: When the Federal Circuit Court rules on SBA COC decisions, it looks to see whether the SBA had a reasonable basis to deny the COC Certificate of Competency. The SBA has broad statutory discretion when making its Certificate of Competency decision. Ms. Sims a COC. The SBA obtained information from government agencies having prior dealings with Ms. Sims. 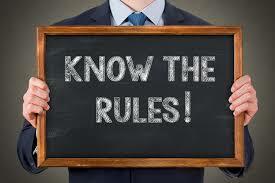 An appellant must show that SBA’s process or its decision on the merits of the SBA Certificate of Competency denial was arbitrary and capricious. At the appellate level, an attorney must show that the COFC judge failed to consider the evidence while still showing that the SBA failed to follow its regulations. When considering filing a bid protest appeal from the Court of Federal Claims to the U.S. Court of Appeals for the Federal Circuit, call Watson & Associates for immediate help. Call 1-866-601-5518.